The Electric Vehicle industry develop fast during the past several. The stock of Tesla Motors, the electric sports car manufacturer, has risen six-fold in the past year, giving it a market capitalization of $22 billion. The development of Tesla is putting pressure on other automakers like Ford and GM. Electric vehicle and Hybrid vehicle is predicted to claim about 7% of "light duty" vehicles sold worldwide in 2020. That is to say about 6.6 million units. This is great news for declining market of neodymium magnets, as each Electric vehicle will use about 10 Lbs of Neodymium Magnets and each Hybrid vehicle will use about 5 Lbs. 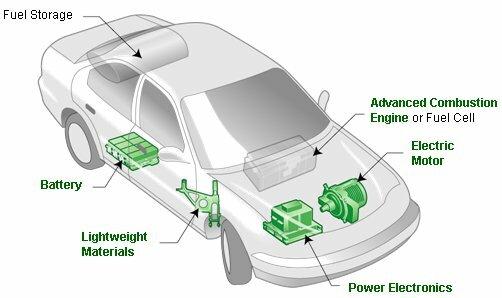 Auto industry will use about 100,000 Tons of Neodymium Magnets in 2020; about 20% of them go to Electric vehicle and Hybrid vehicle. As neodymium magnets are the most cost-effective high performance permanent magnets. There are no alternatives for them. Some manufacturers try to replace neodymium magnets with ferrite magnets. However, the size of ferrite magnets is 6 times of neodymium magnets. With the same size, the strength of neodymium magnets is 10 times higher that ferrite magnets. Ferrite magnets can never replace the neodymium magnets in auto industry. The requirement for strength and performance of neodymium magnets will be also much higher in the future. By Danny Burns from Stanford Magnets, a top supplier of rare earth magnets based in CA.